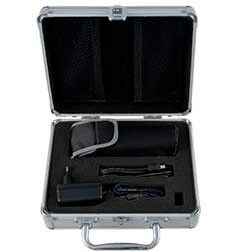 The colour meter PCE-TCD 100 measures colour according to CIELab standard. 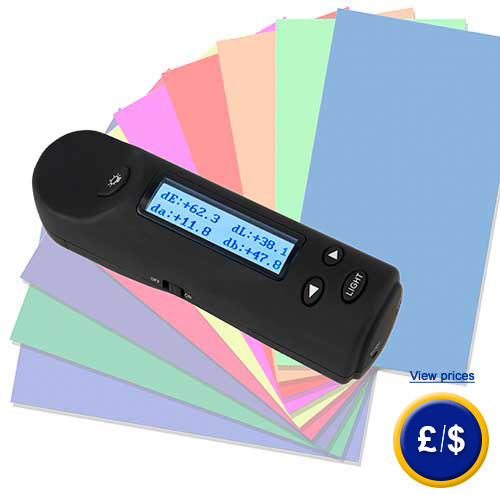 This colour meter is easy to use and determines Lab difference value of two colour measurements. The colour meter CIELab PCE-TCD 100 also delivers, apart from Lab colour values, LCH values. These values will be arithmetically calculated after every colour measurement. 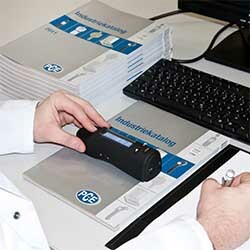 Colour difference measurement can be carried out on any smooth and flat surface. The measurement of colour difference is necessary as long as different samples of material are being compared to each other; even as part of incoming goods inspection of print media or during production process in lacquer factory. For colour measurement just push the button at CIELab device and the user receives all colour information clearly on display. The examiner can switch between colour difference values and abcolutely measured Lab colour values. Measuring colour is carried out using a silicon diode. The light source is an energy saving LED. The colour meter CIELab PCE-TCD has an acoustic signal to warn when the battery level is low, and therefore does not guarantee a precise measurement. An overview of all colour meters can be found here: colour meters. If there are any questions about the colour meter CIELab PCE-TCD 100 have a look at the technical specification below or call: UK customers +44(0) 23 809 870 30 / US customers +1-410-387-7703. Our technicians and engineers will gladly advise you in all colour meters and all products in the field of measuring instruments, regulation and control and scales. 0 ... 40 °C / < 85 % H.r.